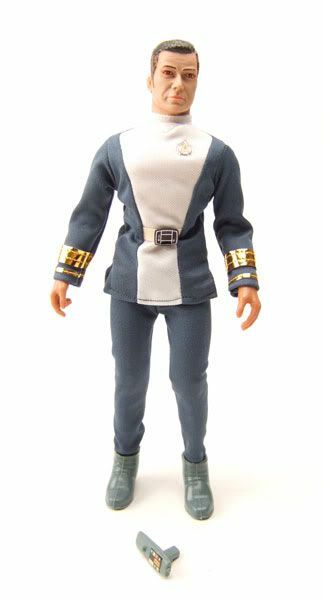 Kirk was released as part of Mego's boxed 12.5" figure line. The head is good. Not great, but good. 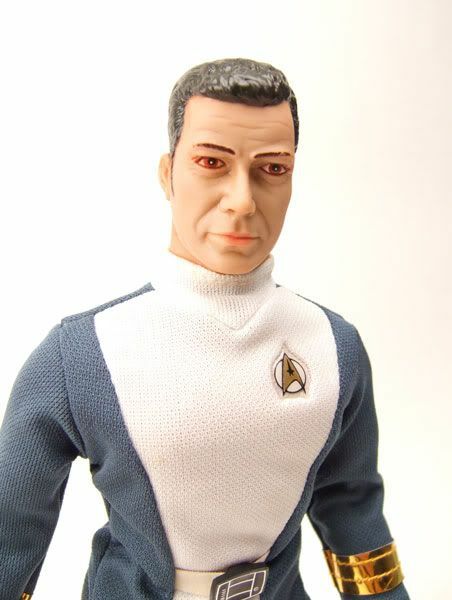 Considering how tough it seems to be to nail a Shatner likeness coupled with the fact that they are working in vinyl though makes the head much more acceptable. 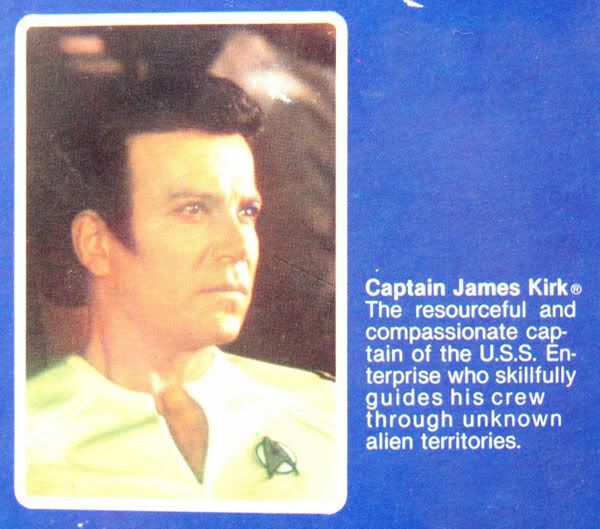 Oh, and if your Kirk head is suffering from the "zombie graying", again heres a method to get the gray out.. I haven't personally tried it since my heads aren't too bad off yet, but I'll make sure to post if I do. 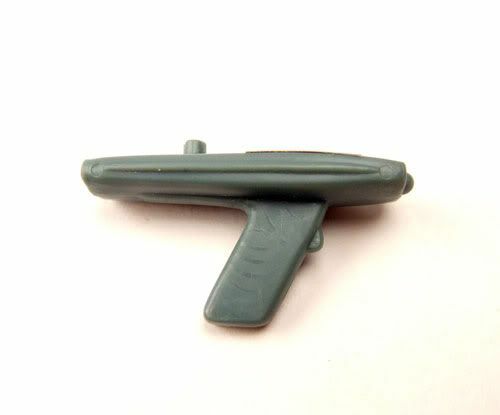 Accessories: Kirk comes with a TMP style phaser. It's a nice sculpt with a little detailed sticker on top. I've seen them for sale on ebay but the boxed pictures don't give me the exact idea of what they look like so I'm hesitating. 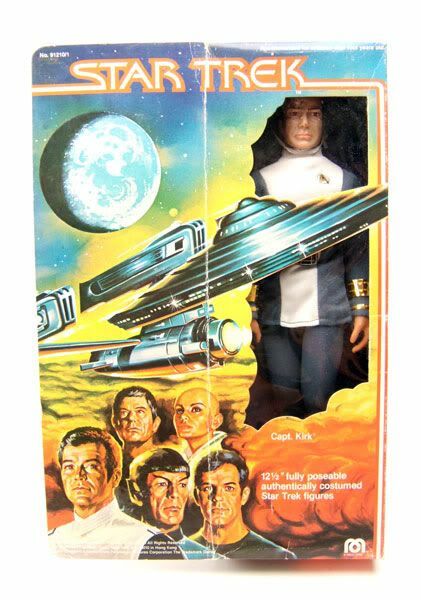 Spock is always my first priority but the gray zombie like face staring from inside the box worries me. 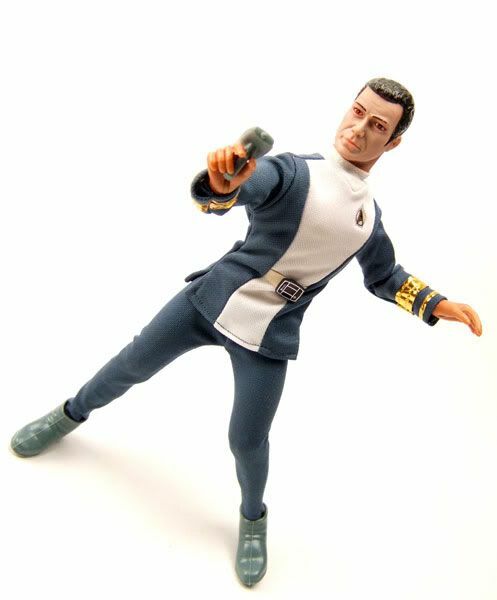 The uniforms do look sharp though and TMP is my favourite Star Trek movie.